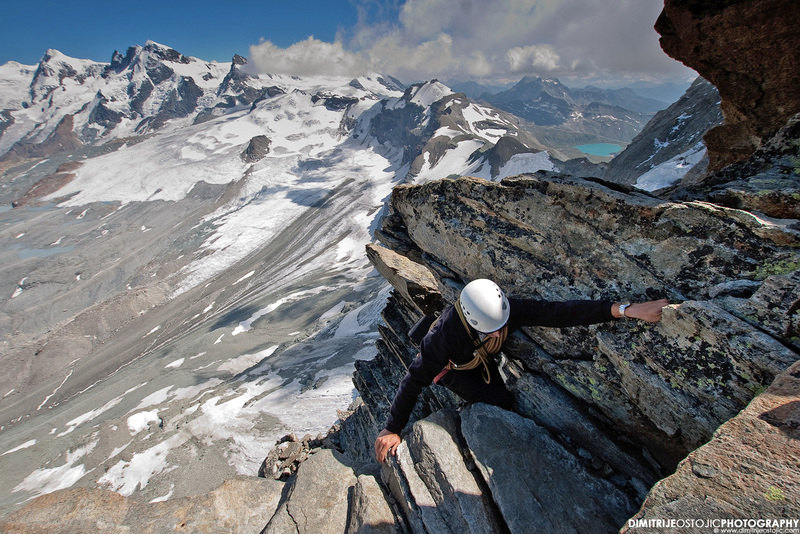 Matterhorn is one of the highest and for climbing technically most difficult Alpine peaks. 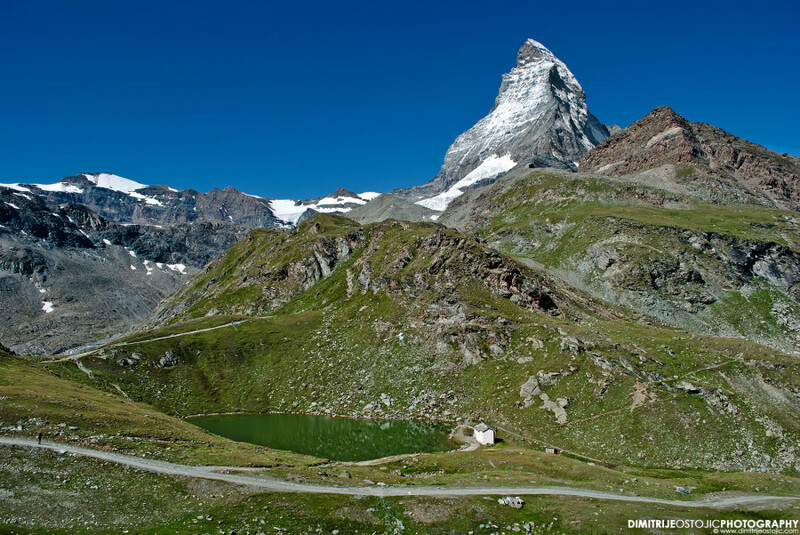 It’s located between Switzerland and Italy and has hight of 4478 meters. 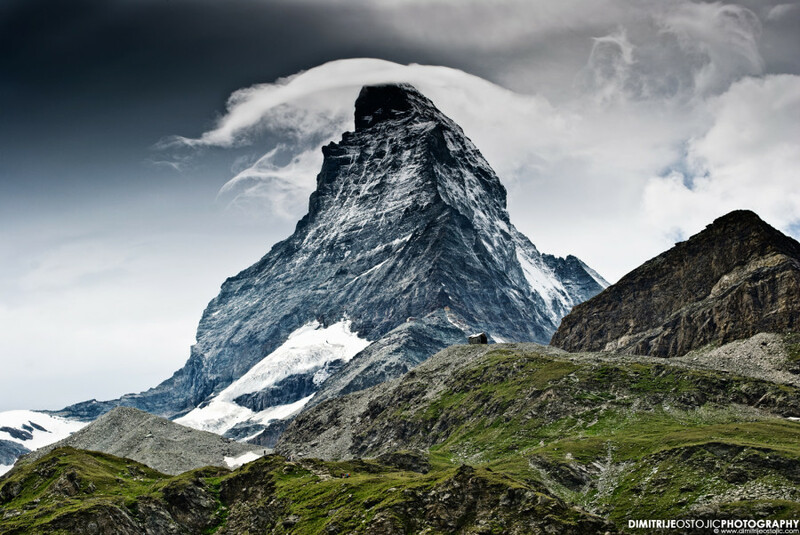 Because of its incredible pyramid-like shape it has become the symbol of Alps and Switzerland and you can see it’s shape on the wrappers of many Swiss chocolates and other products… Thousands of people every year come to climb it or just to admire it. 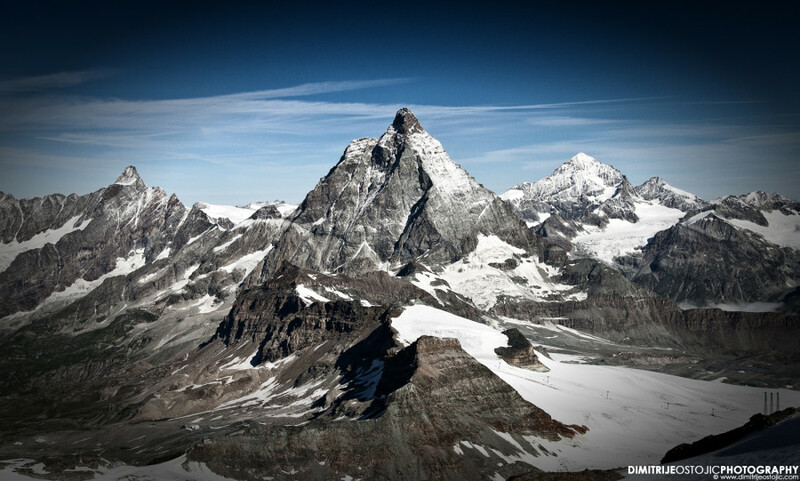 In few words Matterhorn is beautiful and scary at the same time! I wrote more about Matterhorn in one of the previous posts. 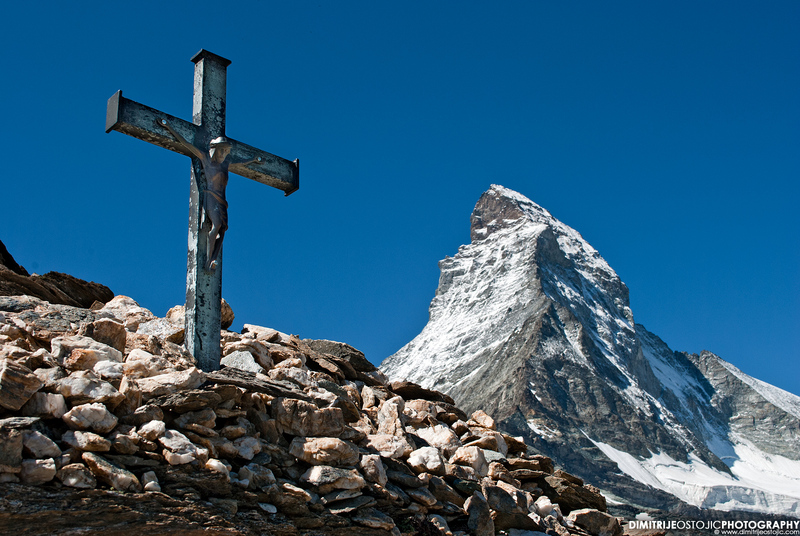 In the last hundred years more than five hundred climbers lost their lives at Matterhorn. The top of the Matterhorn in clouds and afternoon storms are often scene. 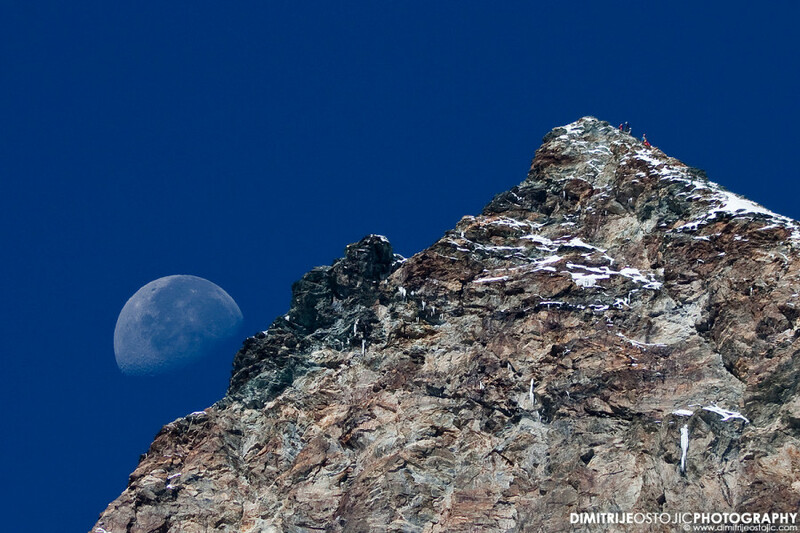 In the top right corner you can see the climbers going to the summit. 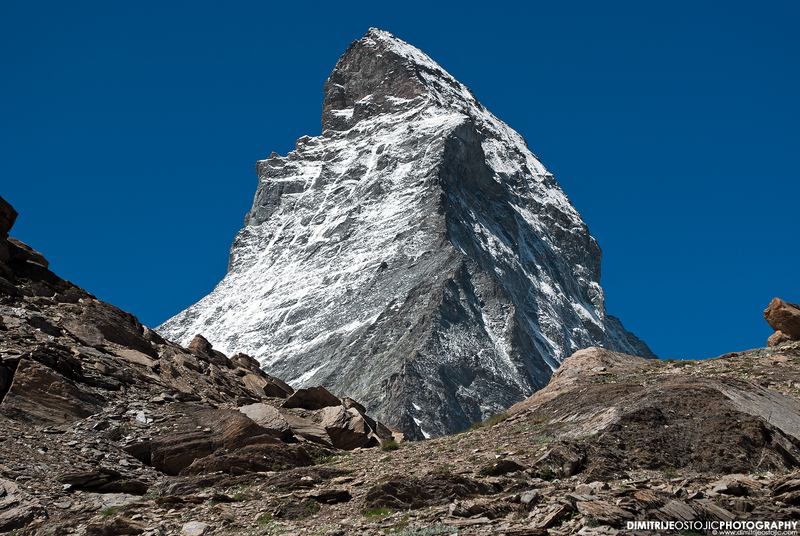 Hornli Ridge is most common route for the ascent. 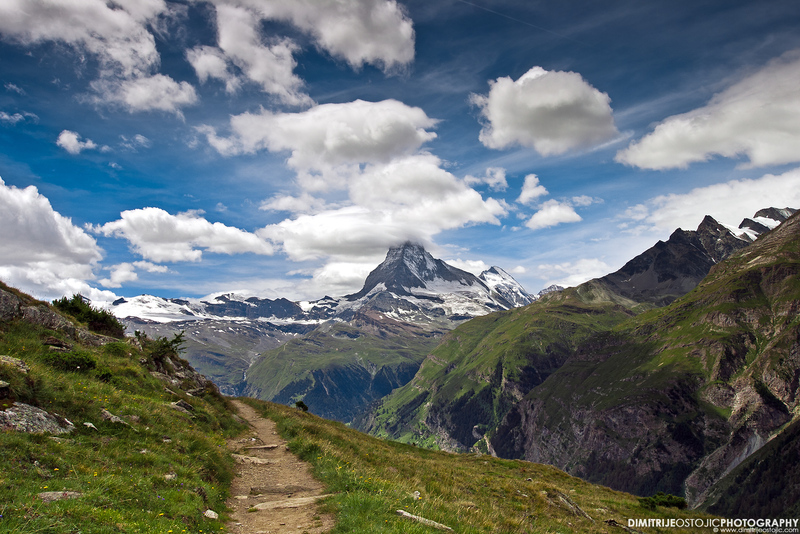 Matterhorn is the most beautiful when seen from the Swiss side. 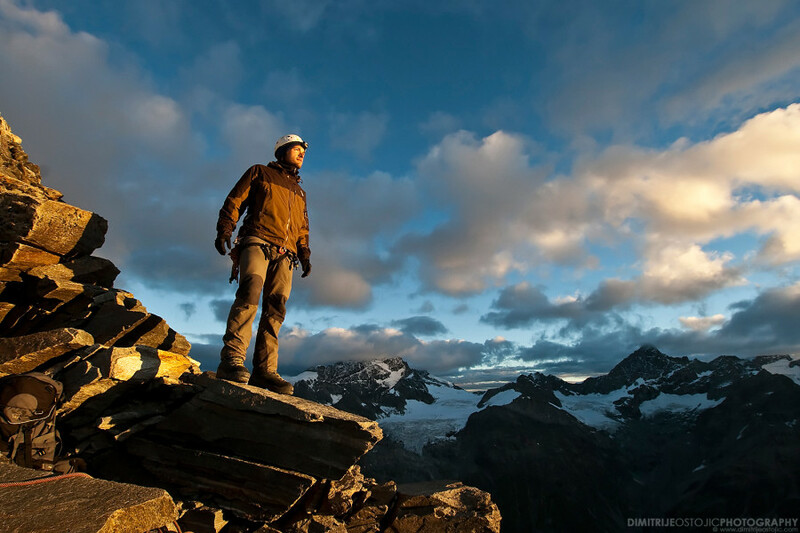 This is me, spellbound by the first sun rays coming above the Mount Rose, the shot was made by Voja – my climbing mate.